St. Barnabas Catholic Community invites you to learn what it means to be Catholic and to delve deeper and understand the Catholic Faith through the Adult Initiation Process (R.C.I.A). Are you interested in sharing your faith with those who are interested in our Catholic Faith? The RCIA – Rite of Christian Initiation for Adults – is a process whereby those who are interested in becoming Catholic or those wishing to complete their sacraments of initiation, participate in sessions, dismissals, discussions, study of scripture, the tenets of our Catholic Faith, and fellowship. Their experience is always deeper and richer when they have passionate witnesses walking with them on their road to full initiation in the Church. Is the Holy Spirit calling you to this most faith deepening ministry? 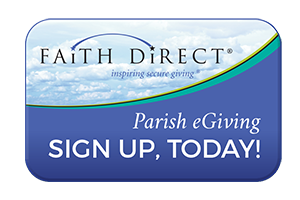 Have you been wondering what you can volunteer for in our parish? There are many different opportunities. If so, please call the rectory at (562) 424-8595. The catechumens and candidates are sent on scheduled Sundays to pray over and ponder the scriptures and to learn more deeply how to live as disciples of Jesus. This sending forth is a form of hospitality because they cannot join us yet as the table of the Eucharist. Video – Celebrating the 10th Anniversary of the dedication of the Cathedral of Our Lady of the Angels – "a house of prayer for all peoples".